I just thought you should know how incredibly disappointing your products are. I’m an author and have done the research to completely format my novel, but I’m going to have to pay someone else to do it for me because of the nightmare I have lived for the past two months trying to work with Microsoft Word. This isn’t a problem with my personal computer, just so you know. I have tried formatting this doc on four different computers with Microsoft Word 2007. All have managed to mess up the page numbers by insisting that there are two even pages in a row. What is wrong with your programming that would make this happen no matter how many times I reformat this? I have used different docs, different computers and nothing works. Last year, when I bought my PC, I wanted it because I wanted Microsoft Office, but I will never buy another PC and I will never buy Office again. EVER! This program has been nothing but problems. It is Apple from here on out. Their customer support is amazing and my husband’s Mac has never had a virus issue and his docs have never failed him before. 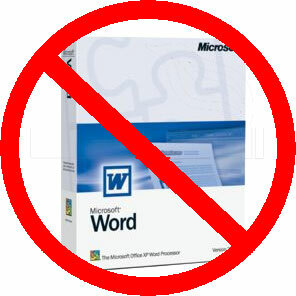 I will make sure to let everyone I know know that Microsoft is a poor investment for anyone who wants a decent word processor and to go with Mac. This entry was posted in blog, Fail, Microsoft, Office and tagged Apple, Disk formatting, Macintosh, Microsoft, Microsoft Office, MicrosoftWord, Personal computer, Word processor on May 1, 2012 by Andrea Cefalo.